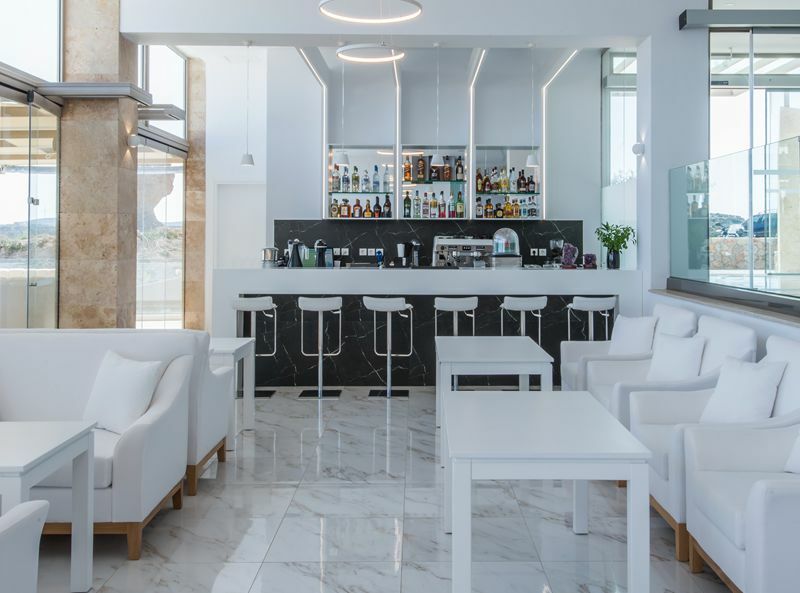 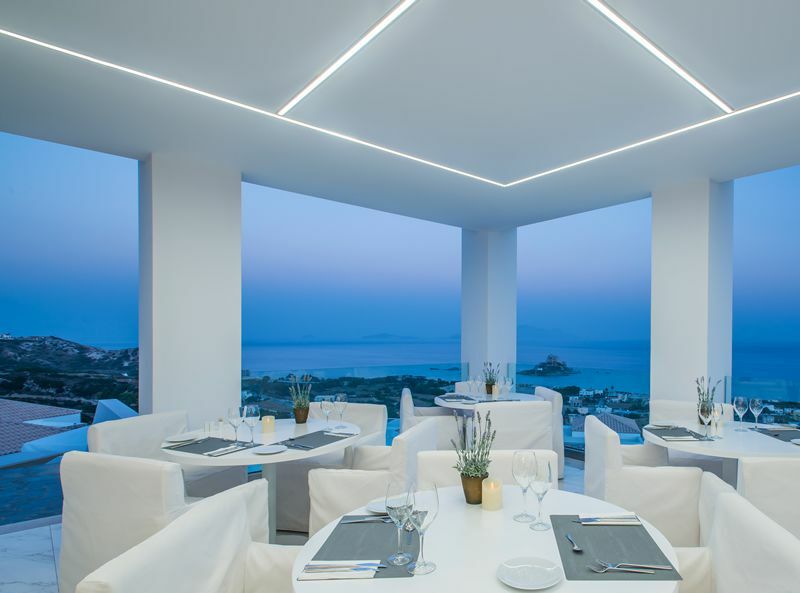 The 5-star White Rocks of Kos is an all-suite, adult-only, boutique hotel that provides guests a romantic and luxurious escape on the beauty Greek island of Kos. 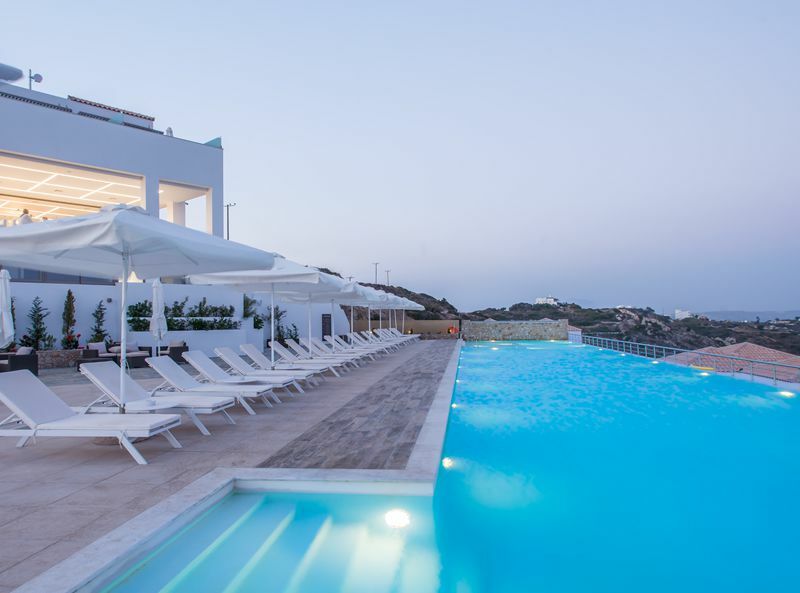 This hotel gives you everything that you could want from a dream Greek island experience. 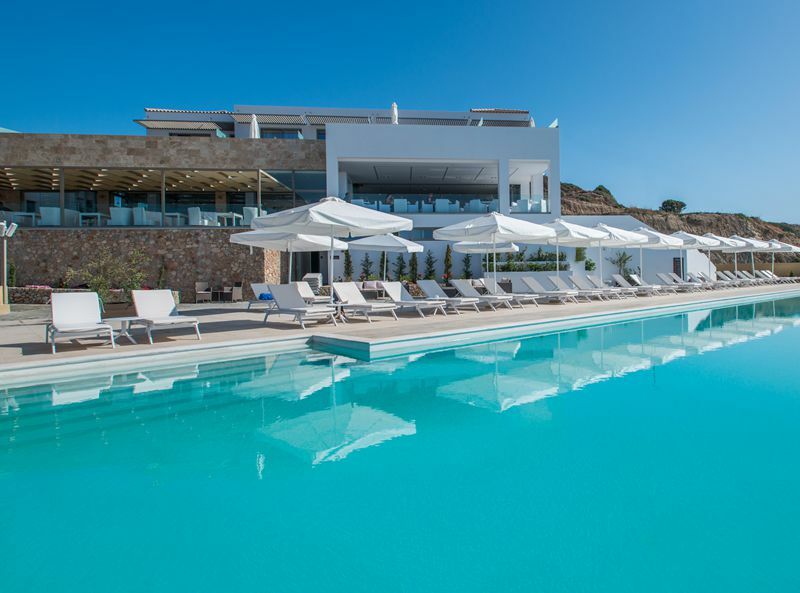 The property sits on an elevated position in the village of Kefalos and offers magnificent views out to the Aegean Sea on Kos’ coastline and hilly landscape. 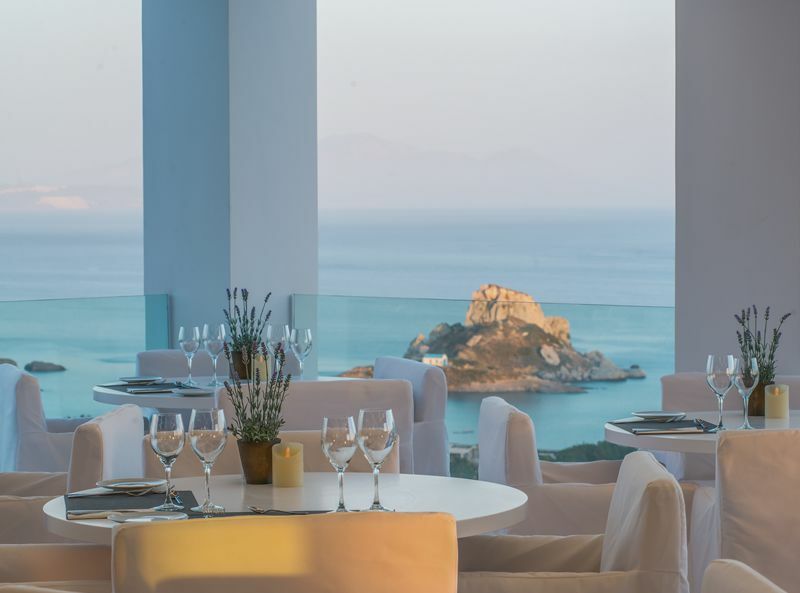 Stunning 360° views can be enjoyed from the rooftop bar, whilst the hotel’s gourmet Mediterranean restaurant also offers a beautiful panorama to accompany a romantic setting. 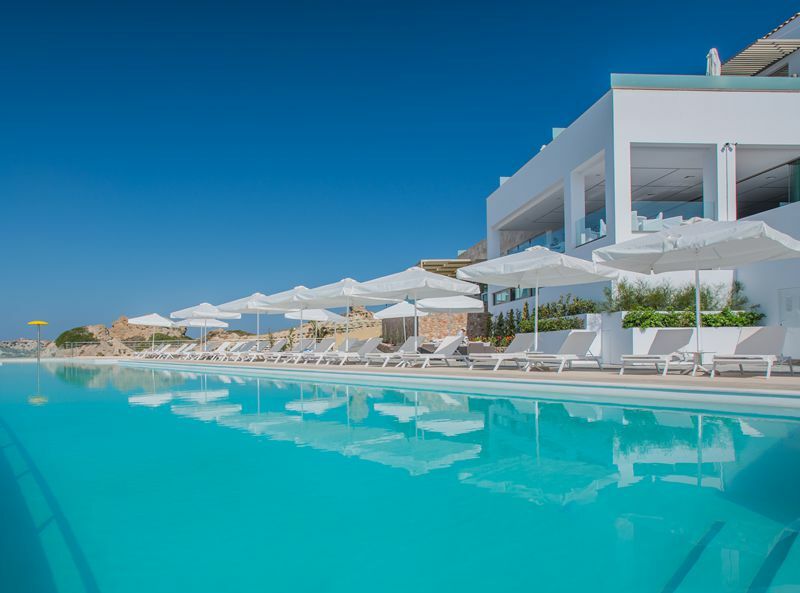 The hotel features an infinity pool and a spa and wellness centre to help further enhance your state of relaxation. 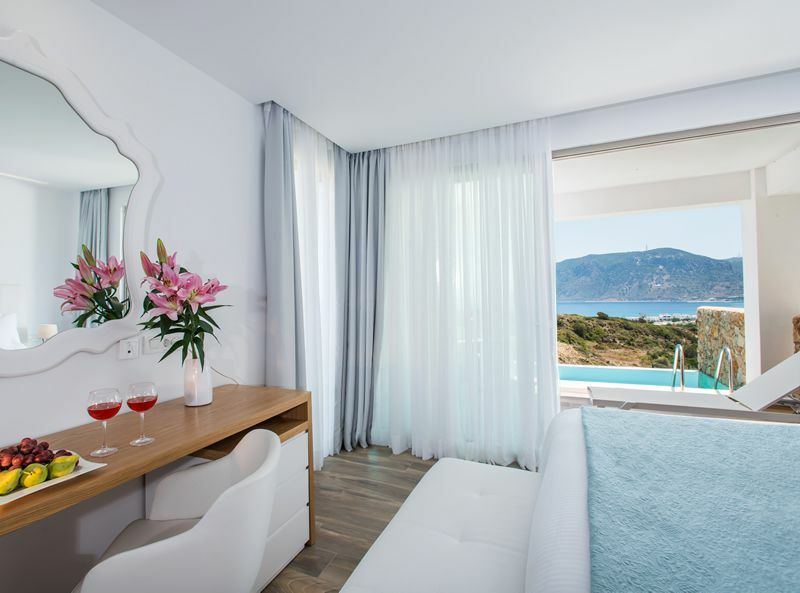 With only 41 suites at this hotel, the ambience here is intimate and very peaceful and will only serve to heighten the feeling of romance when staying here. 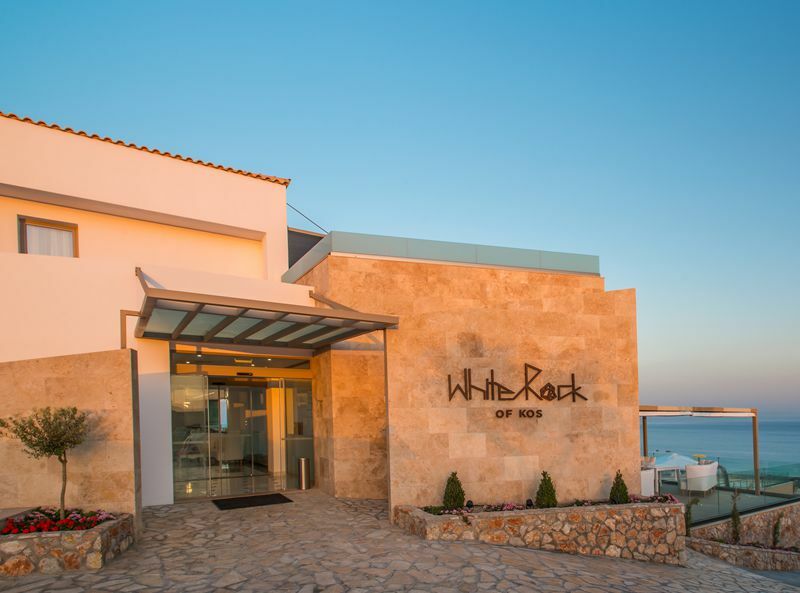 The White Rocks of Kos is an ideal choice of hotel to experience Kos in a luxurious, adult setting. 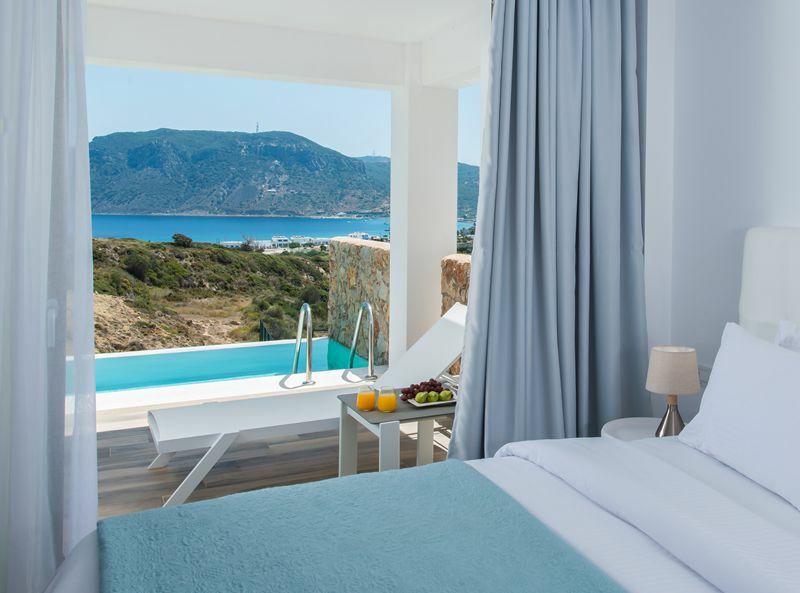 There are only 41 suites at this hotel. 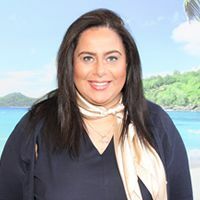 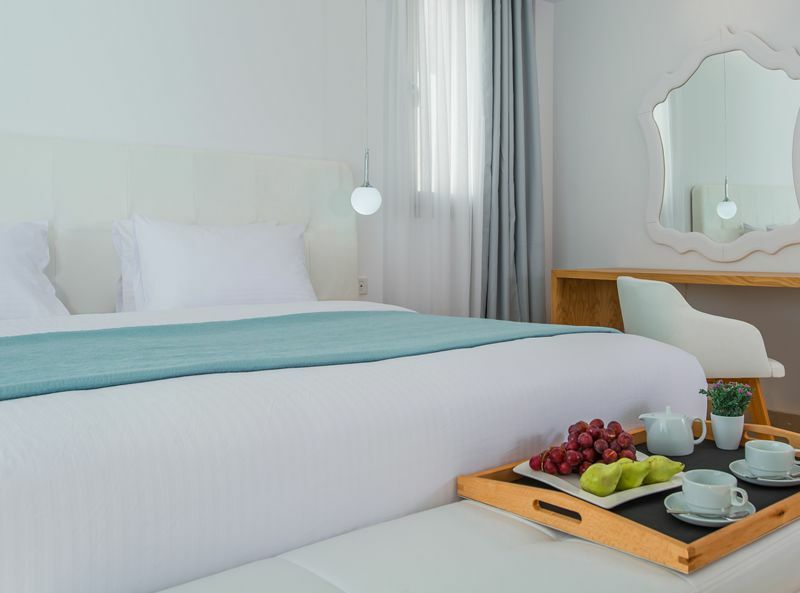 All rooms feature a balcony or terrace, free Wi-Fi, air-conditioning, flat-screen satellite TV, tea and coffee making facilities, mini bar, safe, complimentary bathroom amenities, bathrobes and slippers.